A new morning with freshly baked bread. What a luxurious feeling it gives to the day. 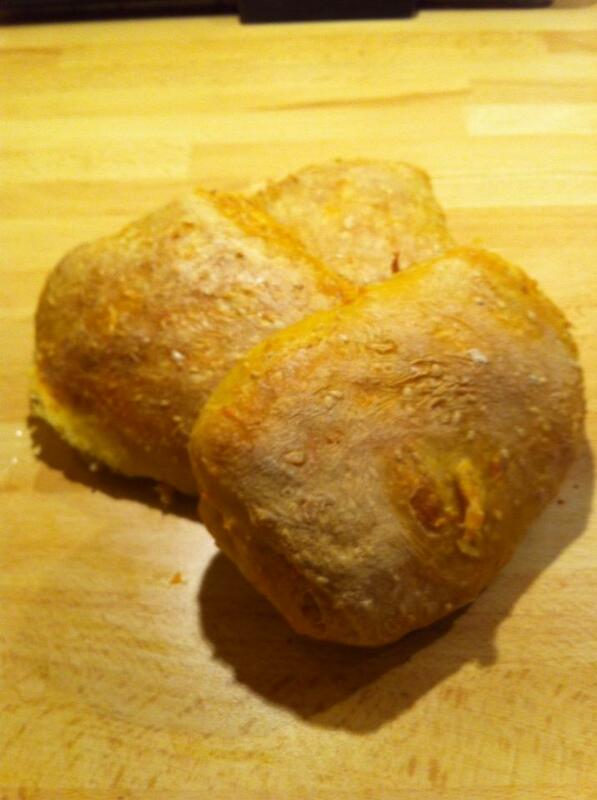 Especially this bread I mixed in grated carrots and sesame seeds in. Then , if one wants , and which I did , roll out the dough , buttering the dough , rolled it up , rolled , buttered and folded again . This way , you get a little bread in layers, as if you want easy to open without a knife or if you like to take the food with bread , easy to get just the right piece of bread and easy to catch the food. My guests usually like bread I baked in this way . Easy to sit and break pieces off and just sit and talk without crumbs flying around the table. Mix all ingredients into a smooth dough and work it in about 20 minutes. Let rise for about 40 minutes. Remove the dough and work it a little while. Roll it out, butter up and fold up. Roll again, buttering and fold. Cut out lagomt sized pieces. And put on a bakpappers wearing plate. Cover with a damp wet towel and place in the refrigerator overnight. Remove the plate and start the oven 225c. 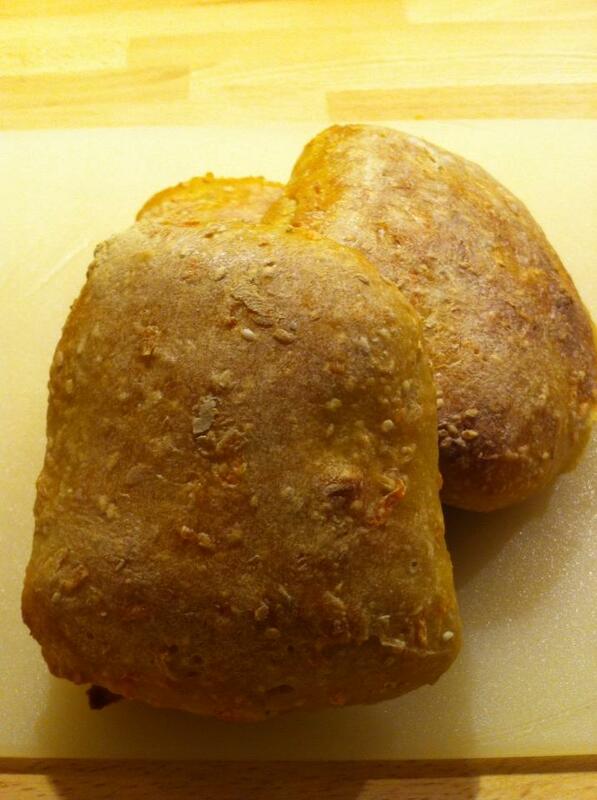 When the oven is hot, set the bread and allow to get baked for about 10 -15 minutes or until it got just enough color.